2019 Suzuki DR-Z250. Picture credits - Suzuki. Submit more pictures. A blend of lightweight control and torquey four-stroke performance is the hallmark of this taut, well-mannered missile. At its core, a compact 249cc four-stroke engine featuring dual overhead cams and four-valve Twin-Swirl Combustion Chamber cylinder head for strong torquey performance. A no-holds-barred piece of mechanical mastery, the perfect power-to-weight prescription ensures the movements of the lightweight DR-Z250 are completely at your mercy. Street legal, streets ahead and learner-approved the DR-Z250. Comments: Street legal. Model id: DR-Z250L8. Ask questions Join the 19 Suzuki DR-Z250 discussion group or the general Suzuki discussion group. Enter your e-mail to join the 2019 Suzuki DR-Z250 forum and get notification of answers and new messages about this bike. You can unsubscribe with a single click. Bikez does not display, sell	or misuse e-mail addresses. Get a list of related motorbikes before you buy this Suzuki. Inspect technical data. Look at photos. Read the riders' comments at the bike's discussion group. And check out the bike's reliability, repair costs, etc. 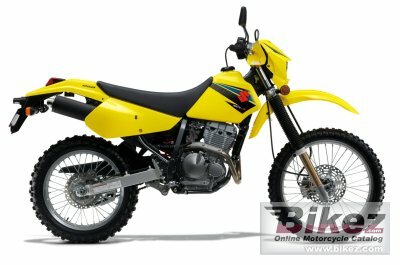 Show any 2019 Suzuki DR-Z250 for sale on our Bikez.biz Motorcycle Classifieds. You can also sign up for e-mail notification when such bikes are advertised in the future. And advertise your old MC for sale. Our efficient ads are free. You are also welcome to read and submit motorcycle reviews.